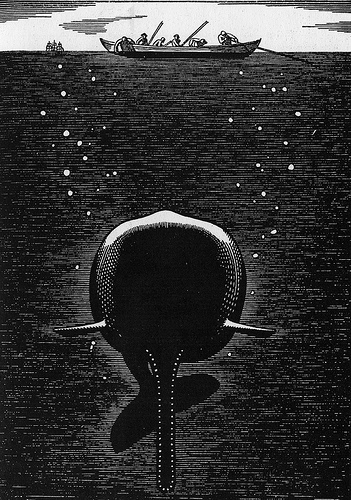 Perhaps it is because of this dullness—a dullness that extends itself specifically to food—that the only meals mentioned in detail throughout the entire novel are meals eaten before the crew even steps on board their ship. 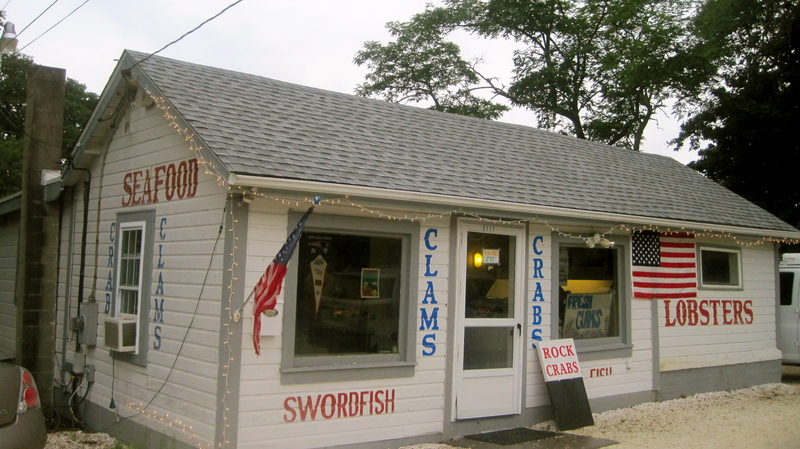 It is at the Spouter Inn the night before setting sail that Ishmael eats a bowl of clam and cod chowder so good, four entire pages are devoted to the experience. 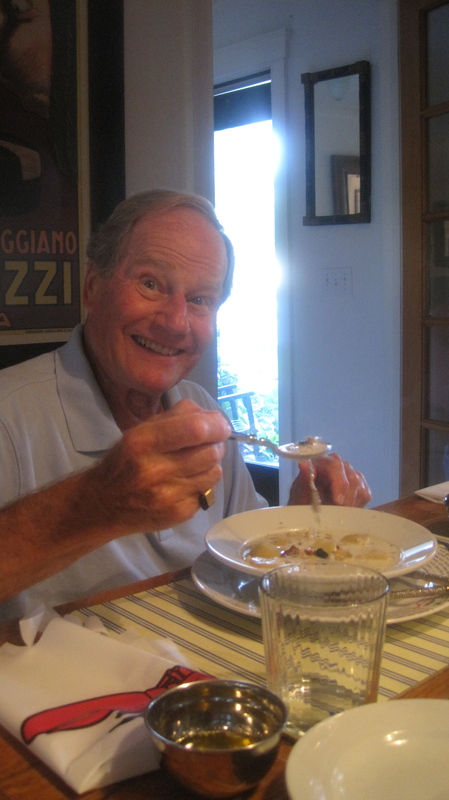 Whenever it is a damp, drizzly November in my father’s soul (or just a damp day outside), he likes to make a heaping pot of his famous chowder. Although we’re from New England where chowder is traditionally thick and made with heavy cream and quahogs, my father’s recipe calls for a thinner broth and the rich flavor of steamers and spicy Portuguese sausage. 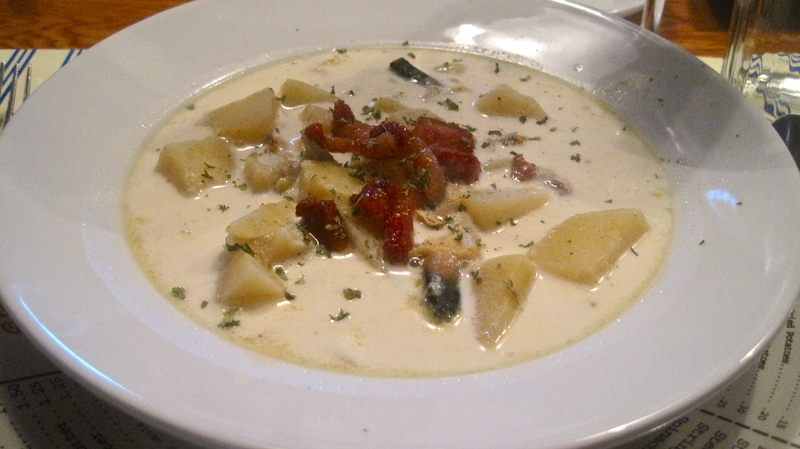 It is the best I’ve had, and I’d certainly prefer this chowder recipe to any other before three deck-swabbing years fueled by moldy biscuits and watery beer. 2 cups of linguica (This is a spicy Portuguese sausage. If you can’t find it go with chorizo, but do try to find the linguica. There is no flavor comparison between the two. 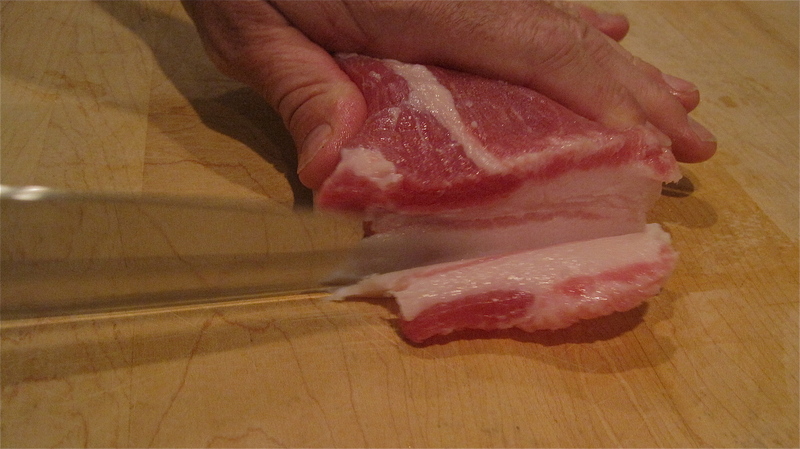 This time around my dad just used salt pork to accommodate non-spicy-food-eating guests, so that is what’s pictured. If you prefer this use one whole package). 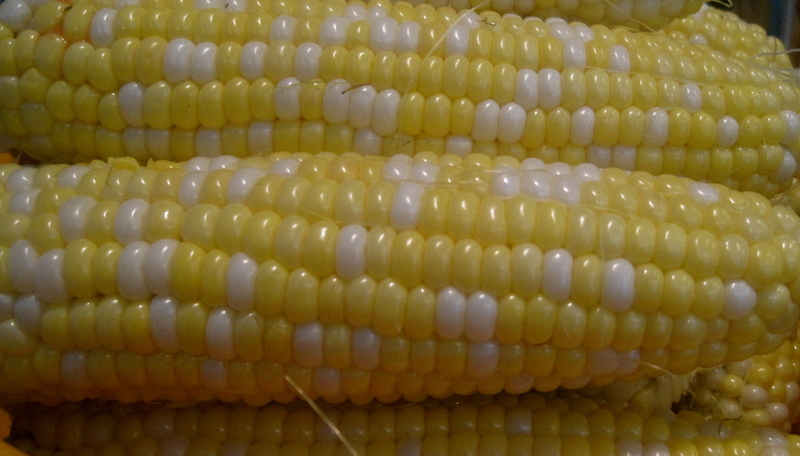 2 ears sweet corn (Frozen corn is fine. My dad won’t use it because of many a truly horrifying childhood dinner involving cans of creamed corn, but if good fresh corn is impossible to come by no worries). If you use frozen corn add about 2 cups. The hardest part of this recipe is getting the clams clean. Nothing will take your appetite away quite like biting down onto a sandy clam, though, so the labor of cleaning them is worth it. Throw away any clams with shells that are closed tightly or cracked. 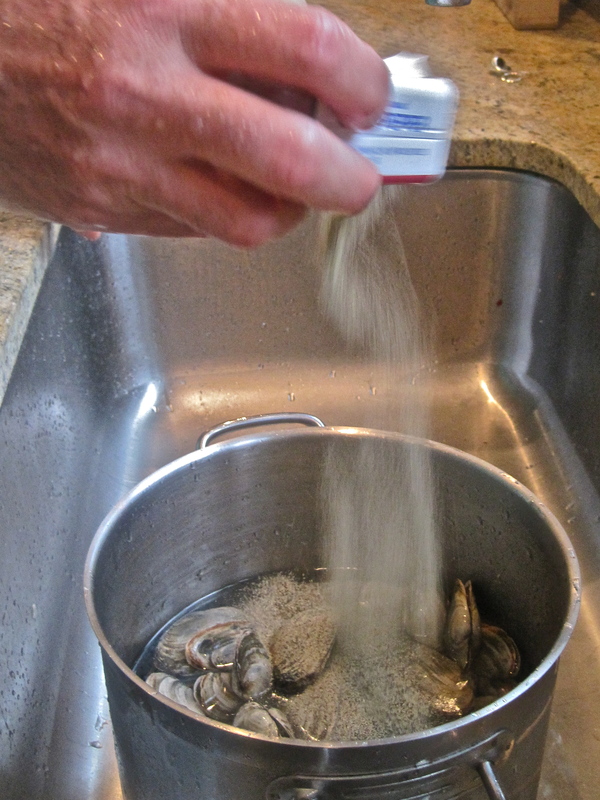 Submerge the clams in a pot of cold water and let them soak. Continue to change the water over a period of about 3 hours until the water you dump into the sink is running clear. If they’re especially tricky you may want to try adding black pepper to the pot to make them sneeze the sand out (technically an old wives’ tale, but one that I and my dad believe in wholeheartedly). 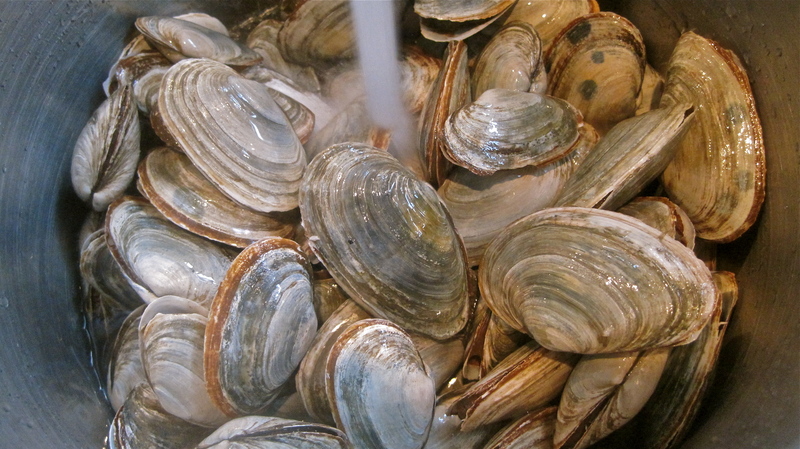 Once the clams are clean submerge them in water and bring to a boil, then turn off the heat. The shells should all be open by this time. If not, continue boiling. Throw any clams away that won’t open wide after sufficient boiling. Take the clams from the water, and save the water–this is your stock. 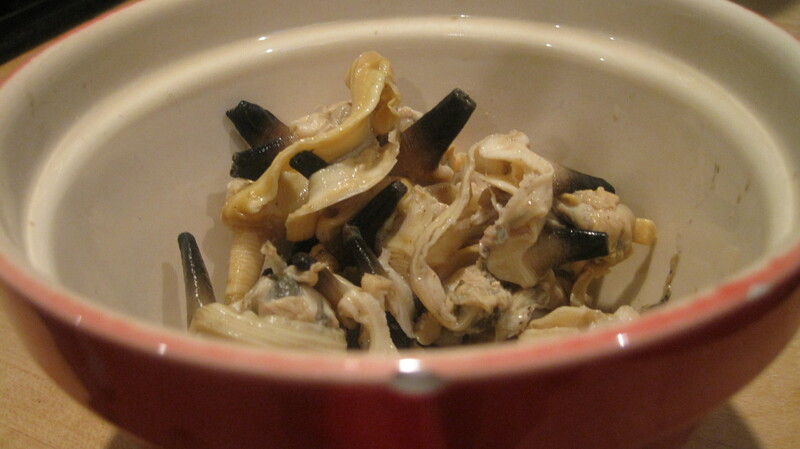 Remove the clams from the shells and take off the sheath that covers the snouts. Put clams to the side. 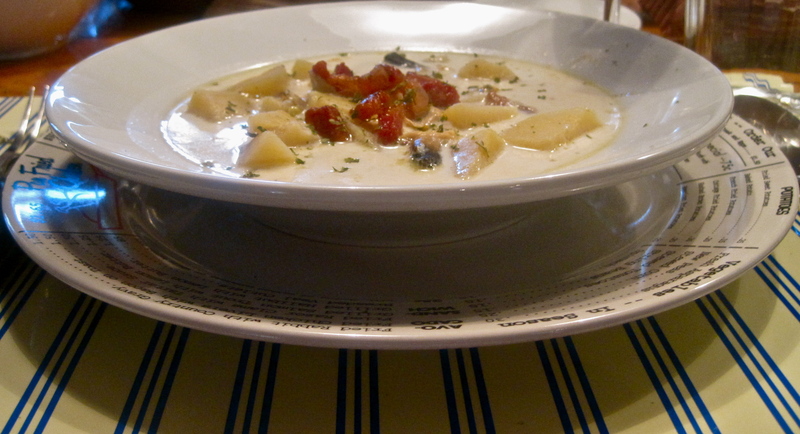 Boil the cubed potatoes in the clam broth until half cooked (still a bit firm—don’t overcook or they will fall apart). They will cook some more once in the stock. In a large pot, sauté the linguica in the butter and olive oil. 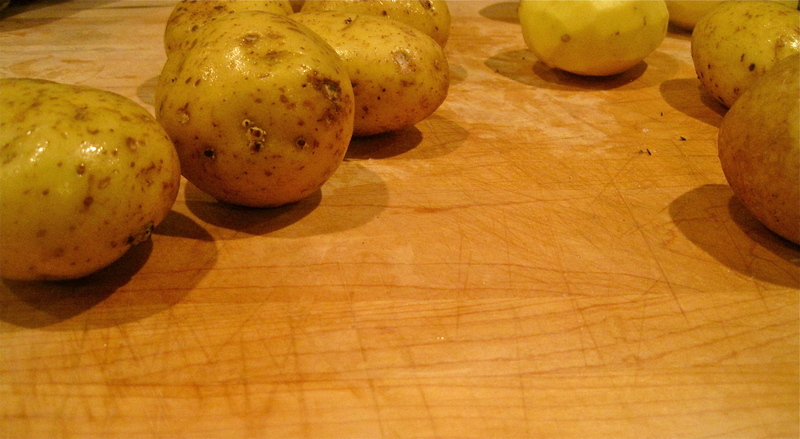 Remove from pan when brown and crackly—put aside for later use. Cook the onions in the pan drippings from the pork until they are translucent. Drain off some (but not all) of the remaining grease. Add onions, clams, and some of the pork cracklings, the corn, salt, pepper, cayenne to the pot with the stock and potatoes and bring all the ingredients to a boil. My dad likes to put the chowder into the fridge and let it sit for a few hours before serving so that all the flavors really marry together, but if you don’t have the time it’s no big deal. Heat milk and cream in a separate pan (equal parts according to how many bowls you’ll be dishing out). Reheat the stock and ladle into individual bowls, adding the milk/cream mixture as desired. 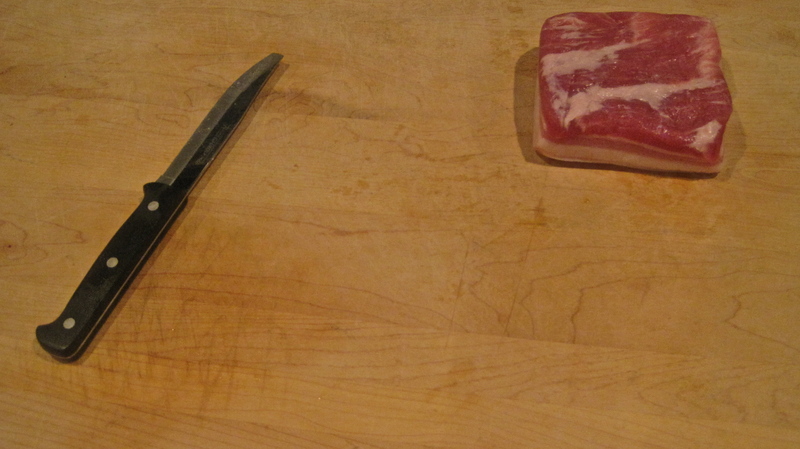 Top off with pork cracklings and parsley and serve with oyster crackers (N.B. if you do desire a thicker soup add flour to stock to taste, but again, I recommend not doing this, I think the flour dulls the flavor). He likes it! Hey Papa!